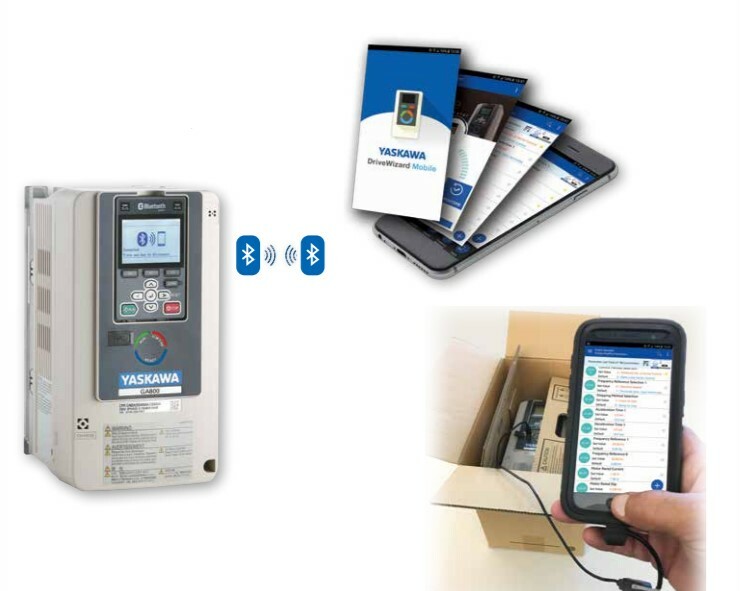 The new Yaskawa GA800 Drive can Connect to Your Phone! Looking for an effortless setup when it comes to Yaskawa drives? The GA800 Drive happens to be the ultimate combination of ease of use, performance, flexibility, power , and can be connected to you favorite mobile device! The Yaskawa GA800 provides exceptional torque production along with precise control and a high-resolution display . The GA800 Yaskawa drive covers all of your variable speed needs from, simple controls, advanced network communications , or functional safety. When it comes to configuring, monitoring or troubleshooting you'll be able to use the resident keypad, your phone, or a personal computer. With an optional Bluetooth Enabled keypad it will provide a wireless connection to your smart-phone or tablet that proves a colorful attractive dialog with the GA800. Alternatively, connect via USB, and interface with the GA800 even without main power! Take advantage of the free cloud service Yaskawa provides! You'll be able to backup your drive settings from anywhere in the world and access them via DriveWizard Mobile or from the web. 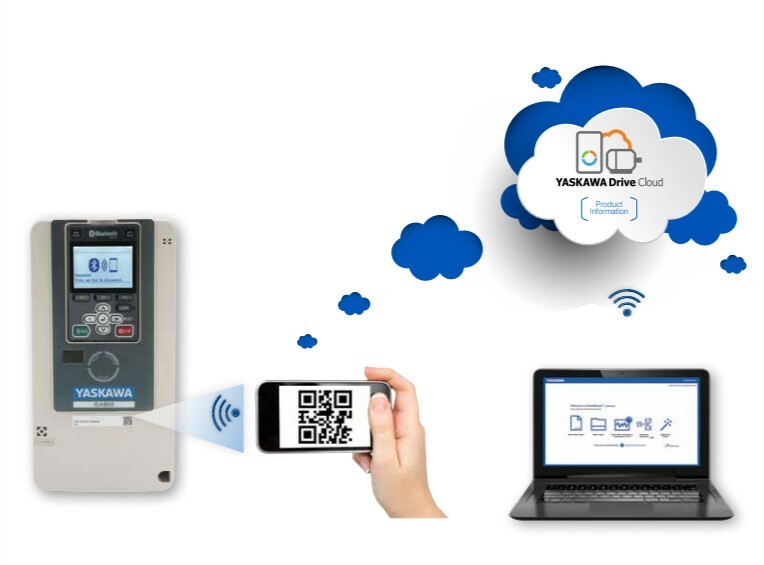 By scanning the GA800's QR code you'll be able to locate existing cloud date or initiate new cloud data with the drive identification pre-populated. You can register, store and retrieve all of your personal drive configuration files unique to each serial number. The best part is, it is FREE storage! Yaskawa's GA800 is the drive that does it all. It covers all types of motors, precisely controls induction, permanent magnet and synchronous reluctance motors. So say goodbye to the days of complex motor setup! Below I have attached even more information on the powerful abilities of Yaskawa's GA800. Check out all the amazing things this drive can do. If you have any further questions about the the GA800 or any other Yaskawa product, please give us a call at (541)779-8062.